Only parents can understand the requirement of other parents and when it comes to nursing a newborn or a toddler, the tips really do matter. Baby nursing apps are thus quite important for all parents as they want to take an informed decision about their bundle of joy and BabyTime is an app to trust when it comes to picking the right one. 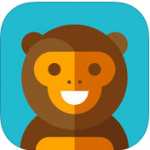 It is an app for parents to help them record and remember the activities of and for their babies. The app synchronizes all the information in such a way that it becomes easy to find a trend and take informed decision about your babies. BabyTime, presented by Enhancient is designed by parents and needs such as breastfeeding, diaper change, bottle feeding, sleep, nursing and more are tackled in an easy to follow platform. The app is specially designed taking in account that you will be busy with your baby and thus, one hand operation is required. 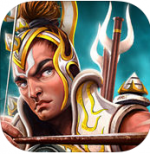 It is not going to cost you a fortune as you are just paying $0.99 for the useful app. It will make you more organized and save your time which you can invest in other works. 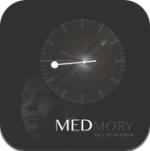 You can even sync the app with all devices you use or the device of your partner or caregiver. The night mode of the app sooths your eyes whenever required. There are several other features of the app which require mention. 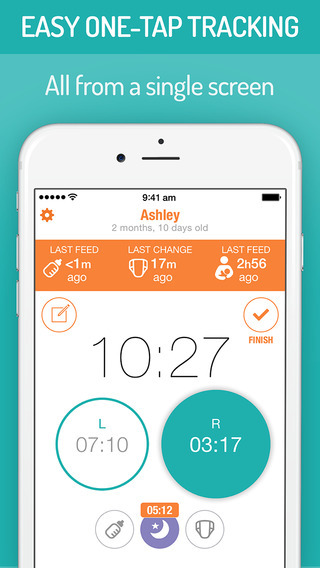 BabyTime is an app for parents which keep them organized about the schedule of their babies. 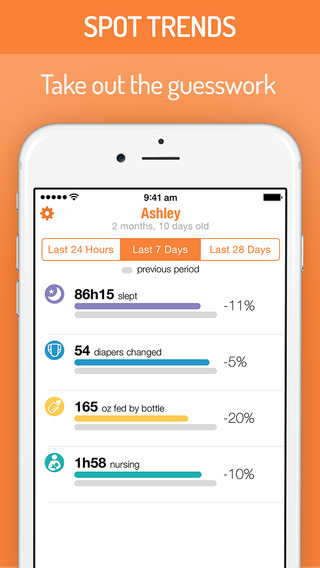 You can record the activities of your baby in the app and then take informed decision following the trend. You can check the change in the trend from one month to another and one week to another. You can see the schedule of the baby at a glance on the main screen on the app. It is easy to input the schedule and events in the app. According to what you input, the app determines the trend about breast feeding, nursing and more and shows you on the screen. You can check which side you fed on last and that can be done just by shifting sides. You can add the start and stop time of the sleep. You can record if the diaper was wet or dry and check it out after recording. You can even add activities on the previous time if you have forgotten recording. It is even possible to add notes to activities. The night mode can be switched on and off on a single tap. When you are recording bottle feeding, you can actually record the amount you fed. The app supports tracking for twins and even if they have different trend, you can track properly. The version 1.0 of the app requires iOS 7.0 or later. The app is available for $0.99 and it takes around 9.1 MB space on your device. Summary: BabyTime is an app simply for the parents and it can help them check the trend of different activities of your baby in a single app. Good: It is quite easy to record activities in the app. Bad: The app is a complete one and there is nothing bad reported about it.